Only in Some Place will you find the best selection of absinthe in town. Some Place is hidden from the general public and is quite hard to spot. 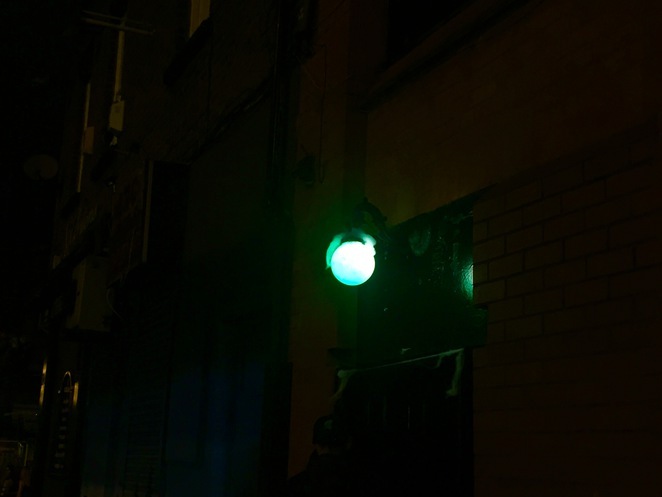 There are no signs, adverts or anything signifying the presence of a bar but if you walk past a green lantern on the street, know it is the place. It is important to remember that apart from the hidden location, Some Place plays hard-to-get all the way, so you may not be let in when the place is too full. However, when you actually do manage to end up inside, you will be rewarded with amazing shots and cocktails. The presence of the so-called 'green fairy' is everywhere: bottles at the bar, filled with the green liquid, the green light, and the portraits of historical figures whose lives were influenced by absinthe in some way (famously including Ernest Hemingway, Vincent Van Gogh and Oscar Wilde). If you are new to this do ask the lovely manager in Some Place for advice and guidance, and you will soon feel confident to try different kinds of this mysterious drink. The classic ritual involves a shot of absinthe, a sugar cube, a special absinthe slotted spoon and some water. All you actually need to do is place a spoon on top of the glass, secure the sugar cube and let some water drip on it so it dissolves in the drink. You can add more water if you want the drink to be less strong. Don't worry, it's been scientifically proven that absinthe is no more harmful than any other alcohol, so go ahead and give it a try. Nevertheless, if you do not feel too adventurous, pick a cocktail that appeals best to you; there are some drinks that do not include absinthe at all. The drink list in the bar is quite impressive indeed: it serves different sorts of absinthe from across the globe. 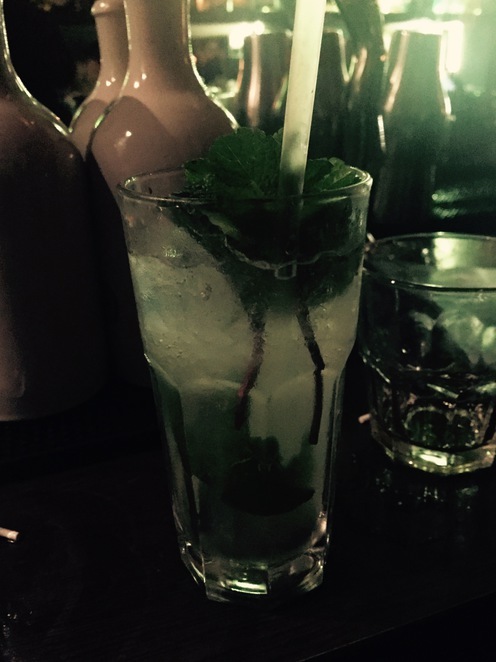 The prices range from £4.50 to £7 for absinthe shots, and cocktails between £6.50 and £7. Why? 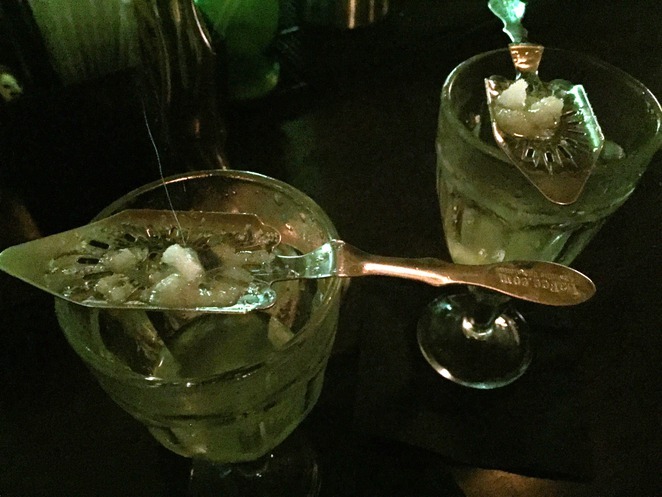 Secret absinthe bar - why else?